Located a few miles south of Burnet in Central Texas, Longhorn Cavern State Park is a Hill Country treasure. The land for this modest-acreage park was acquired in the 1930s. 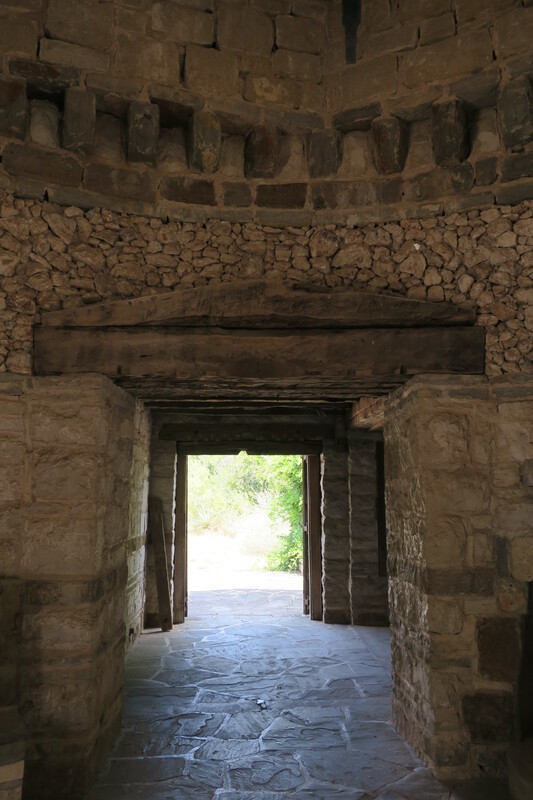 Over a period of eight years, more than 200 Civilian Conservation Corp workers carved a state park out of the rocky terrain and built a magnificent administration building to welcome park visitors. The main attraction at the park is the Longhorn Cavern. When the state acquired the site, the cavern was choked with silt and debris. The CCC guys spent several years removing an estimated 2.5 tons of debris, including plenty of bat guano, out of the cavern using nothing more than picks, axes, shovels, and wooden wheelbarrows. Once they had removed the debris, the CCC guys mapped passageways, installed lighting, and prepared the cavern for public access. Longhorn Cavern, it turns out, is a cave with a past. 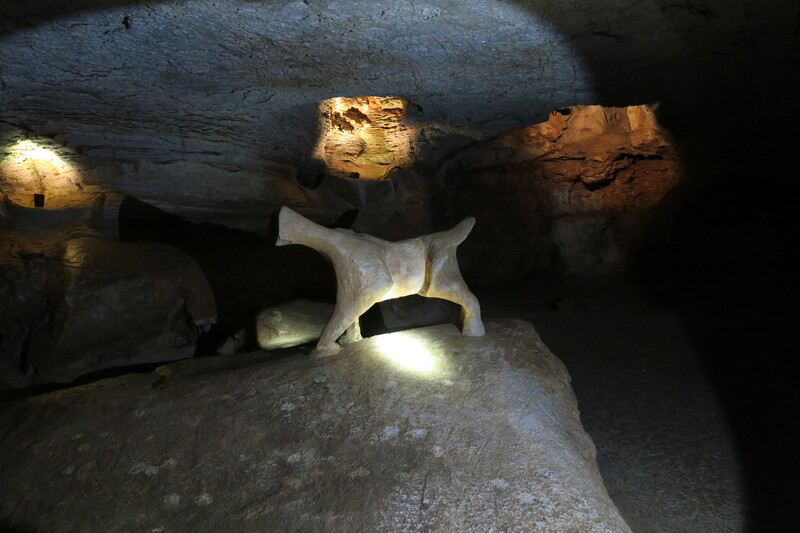 The cavern was used as a shelter by prehistoric peoples. Legend says that the Comanche held council meetings in the largest room in the cavern, appropriately named the Indian Council Room. 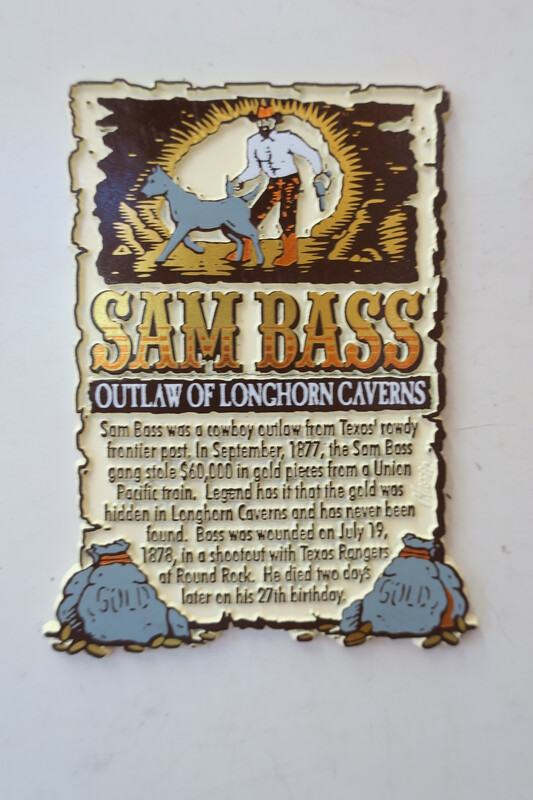 In more recent times, an outlaw named Sam Bass reportedly hid stolen gold somewhere in the deep recesses of the cavern. Bass was later killed and took the secret to the whereabouts of the hidden treasure to his grave. During the Civil War, Confederate soldiers made gunpowder in the cavern. One legend says that the Texas Rangers rescued a kidnapped girl from Indians in the cavern. And during Prohibition, one of the landowners built a speakeasy in the bowels of the cavern. Guests enjoyed gambling, drinking, fine dining, and a dance hall. The cavern features many beautiful natural formations. The best way to enjoy these is to register for one of the interpretive walking tours. The tour lasts about an hour and a half. The temperature in the cavern remains a constant 64-degrees year-round so bring a light sweater if you are prone to getting cold. The tour guides are pretty knowledgeable (ours had an endless supply of cave humor) and will help you appreciate things you might otherwise miss. 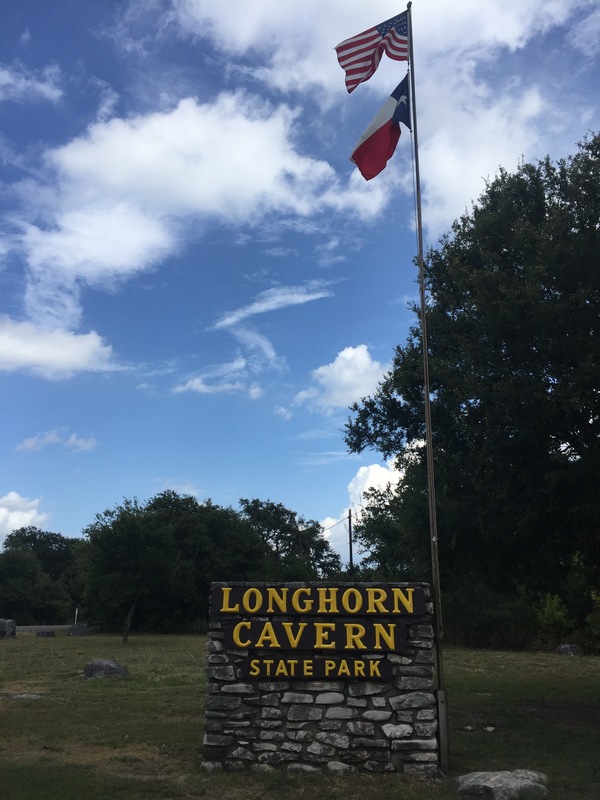 Even if you have visited other caves in the Lone Star State, make it a point to visit Longhorn Cavern. 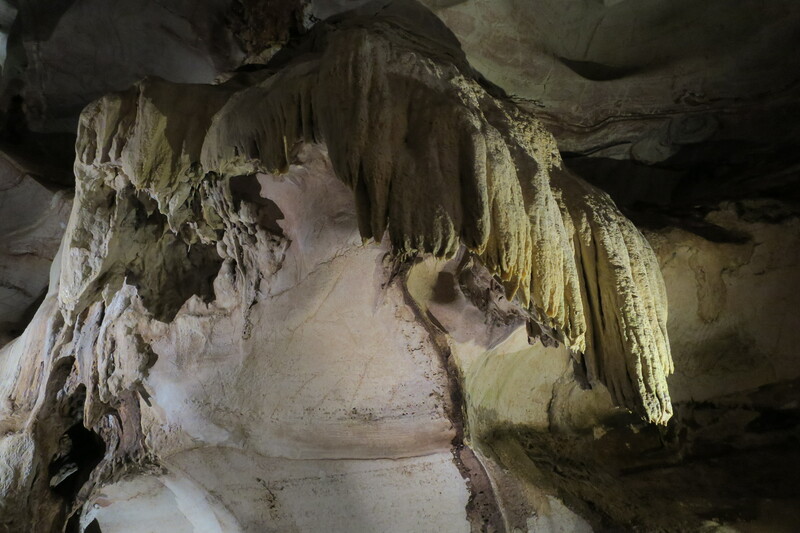 This is the only river-carved cavern in the state and boasts some pretty magnificent formations. 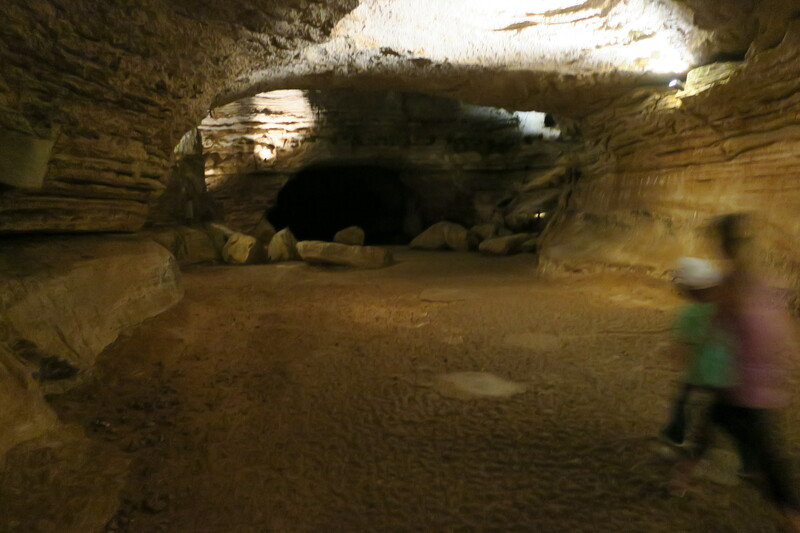 The cavern’s natural beauty combined with its unique cultural history make this tour one of the best in Texas. This entry was posted in Texas State Parks and tagged Longhorn Cavern State Park, Texas State Parks. Bookmark the permalink.